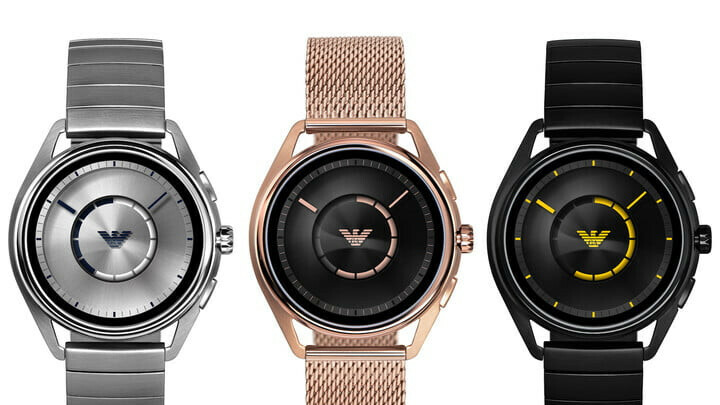 Following in the footsteps of fellow fashion-centric brand Marc Jacobs, Emporio Armani has announced a new smartwatch that ships with Wear OS straight out of the box: the Emporio Armani Connected 2018. Proving to be a pretty significant upgrade over the original, the brand’s latest smartwatch now includes both GPS tracking and a heart rate monitor, a move that puts it on par with most other wearables out there. Furthermore, the watch is waterproof, something that will allow owners to take it with them swimming or out in the rain without any need to worry. In addition to the fitness features, it’s also worth noting that users of the wearable will be able to conduct purchases at ease via Google Pay thanks to the presence of NFC. Moreover, as with all new Wear OS devices, the Google Assistant is once again a central part of the product. Despite all of the added features, due to the lack of wearable-focused processors, the new smartwatch unsurprisingly ships with the Snapdragon Wear 2100, just like its predecessor. Nevertheless, the Emporio Armani Connected 2018 will work with all Android smartphones running version 4.4 KitKat and up, while iPhones with iOS 9.3 or above will also be compatible. When it comes to availability, the new Emporio Armani offering will be available to purchase before the end of this month, with pricing set to start at $295. Additionally, on a separate note, rival brand Diesel has also announced a new smartwatch dubbed the On Full Guard 2.5 which is set to go on sale in October. Currently, however, no pricing details or images of the device have been released. How is $295 expensive crap? Especially when you are getting a good brand name. Steel casing and bands. This supports both Android and iOS devices. You can make payments with this watch, it has a GPS for exercises. Plus it has a ton of apps now. You can even open doors for cars, houses, control lights and more with Wear OS, and so much more. Btw an Apple watch doesn't even come with steel case, or bands. That is an up charge with Apple.